Change is the essence of life.Nothing is permanent, except change. As the new look Indian Men’s Volleyball team tries to make it’s presence felt at the Asian Volleyball Championship in the historic Azadi Sports Hall in Teheran. Coach Venkatesan and his assistant S T Harilal both have their hands full.The new looking Indian team for the ongoing Asian Men’s Volleyball Championship has TEN debutants.Except of Captain of the team Prabhagaran and the universal Jerome Vinith who have been members of the Indian Men’s Volleyball team which finished FIFTH at the Incheon Asian Games in 2014,the rest of the other players have come up through the junior ranks. 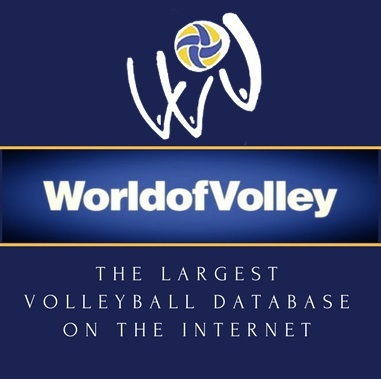 A quintet of them,Captain Prabhagaran,Universal Manu Joseph,Libero Prabhkaran, attackers Rohit Rana and Sohan Kumar have been members of the Indian Railways Volleyball team which won the World Railway Games title last month in Belarus. At the ongoing Asian Championships,India lost to the Aussies and the Qatari’s by an identical scoreline of 3-0.Against Qatar at the Incheon Asiad India lost 3-0 in the group stage and beat them 3-2 when it mattered most,i.e. for the match to decide the fifth and sixth place. Last month India participated in a couple of invitational events,one in Seychelles which we won and the Ramadaan Four nation invitational event at Doha where we lost to all the other participating teams.Just around the time the other participating teams,vis-a-vis,Australia,Iran,Japan,China and Korea were playing against quality opposition,courtesy World League-2015 with encouraging results,we were completing notions.The Volleyball Federation of India axed TEN players who were at the Incheon Asiad exactly a year ago in the August of 2014 for reasons beyond my comprehension.To be infusing fresh blood is acceptable,but in a systematic and time tested way.Of course,not to belittle the players who have made it to Teheran.They have had some outstanding performances at the National Championships which would have impressed the selectors. Two new setters in Yeshwant Kumar of Hyderabad Income Tax and Rokhade of Karnataka have to ensure the attackers keep firing all the cylinders. 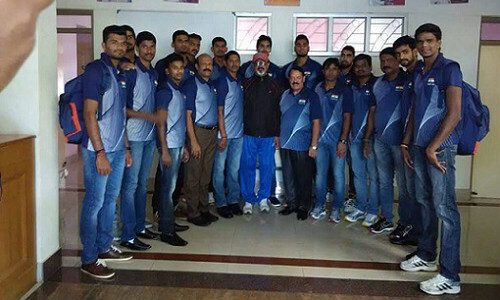 Transition play is the problem area for Team India.Having to fight for the Ninth & Tenth places at Teheran,Coach Venkatesan and his aide S T Harilal have to motivate this young team to perform well and gain some valuable experience,for India will host the AVC Cup in 2016.The AVC Cup is for the top eight teams of the ongoing Asian Championship.India will be there,but not as a top eight finisher,but as host.On the organisational front the Volleyball Federation of India has been making steady progress,having hosted the Women’s Grand Prix at Chennai in1998,the Junior Men’s World’s at Vishakapatnam (2005),again in Pune (2009),the FIVB Chennai Challenger Beach Volleyball event twice and quite a few Asian Championships. On the playing field the progress of the teams has been unsatisfactory.The tage line of India Tourism is Athithi Devo Bhava, meaning Guest is God.True to the adage will we be like, always good hosts,letting the guest win,give us encomiums and depart till we meet next time.Sayonara…… AVC Cup 2016 at Raipur,next stop.